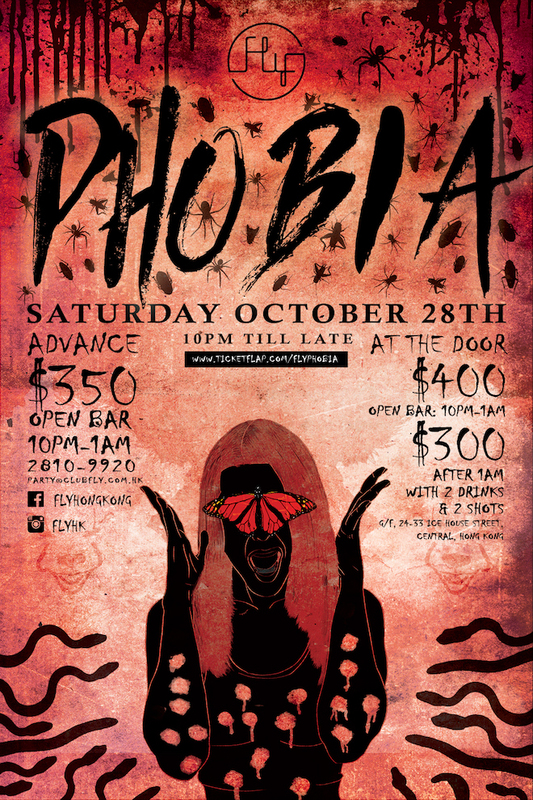 PHOBIA HALLOWEEN makes a mark at FLY HONG KONG on Saturday October 28th with $2,000 beverage credits for the best costume. From preying spiders, trypophobia and slick snakes, expect everything and anything that makes your skin crawl. 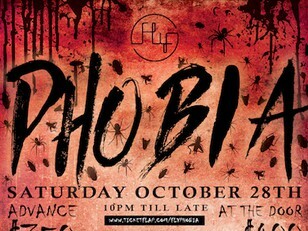 We are selling a very LIMITED number of Early Bird tickets priced at $300 (Open Bar from 10pm till 1am). Grab yours now for guaranteed entry.